Mumbai : Cadbury Dairy Milk chocolate brand, recently announced the launch of a new campaign ‘Kuch Achha Ho Jaaye, Kuch Meetha Ho Jaaye’. The campaign aims to put a spotlight on the small acts of goodness that people do. As part of this campaign, Cadbury Dairy Milk has introduced a unique social initiative called ‘The Wrapper that Gives’. The initiative has been conceptualized by Mondelez India& Ogilvy and being activated in association with Reliance Jio and Pratham Education Foundation. Pratham is an internationally acclaimed award-winning NGO that works for the welfare and education of children across India. In a country like India, with so many people and with so few resources, being generous could seem like an impossible task. But with a closer look at Indians, one will see that generosity is inherent in all of us and come the opportunity, it shines through for all to see. Mondelez India spotted an opportunity in education. While most school kids in cities are familiar and learn with the internet, their rural counterparts do not enjoy the same facilities. “This campaign aims at celebrating the generous instinct in everyone, showcasing as to how such moments go on to strengthen human relationships. Through this initiative we now want to explore the theme of Achhai (goodness), building on the strong proposition of ‘Kuch Meetha Ho Jaaye’. We are absolutely thrilled to partner with Pratham Education Foundation, that has been doing some great work in the space of education for children. This initiative will truly help us spread the goodness around,” said Anil Viswanathan, Director – Marketing (Chocolates), Mondelez India commenting on the initiative. With ‘The Wrapper that Gives’, Cadbury Dairy Milk looks at providing an opportunity to consumers to participate in the Generosity campaign. 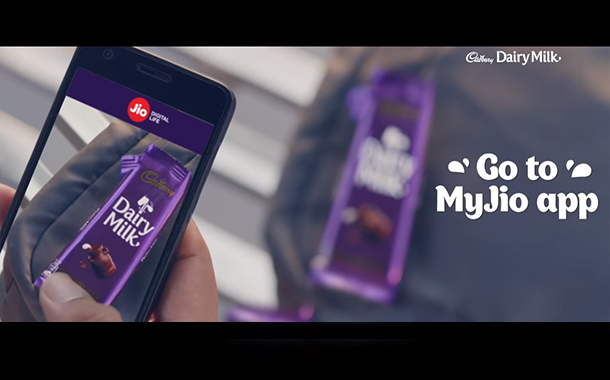 Consumer can unlock 1 GB data by clicking a photo of an empty wrapper of a Cadbury Dairy Milk. At the time of redemption, consumers are given an option to either keep the data for themselves or donate to Pratham Education Foundationso that they can make restricted, useful and safe access to the Internet possible for children in rural communities, rightfully carrying forward the spirit of generosity. The wrapper thus becomes the currency of generosity that enables millions of consumers to partake in the movement of generosity. “Pratham is committed to provide learning opportunities to children in rural India. We are exploring effective use of technology in learning process, through a large scale digital intervention. Safe and education focused internet access provides the children a chance to explore a new world of learning opportunities. We are happy to partner with Mondelez India in their quest to spread goodness” said Madhav Chavan, Co-founder Pratham Education Foundation. The campaign went live in India on Teachers Day, September 5, 2018 and will be hosted on the MyJio app for the period of 4 weeks. The offer will be available for Jio subscribers only. Once the campaign is over, the donated data will be passed on to Pratham Education Foundation, who will ensure that the collected data reaches the right schools to carry out the internet enabled learning activities among children.